Surf News Network, January, 2015. 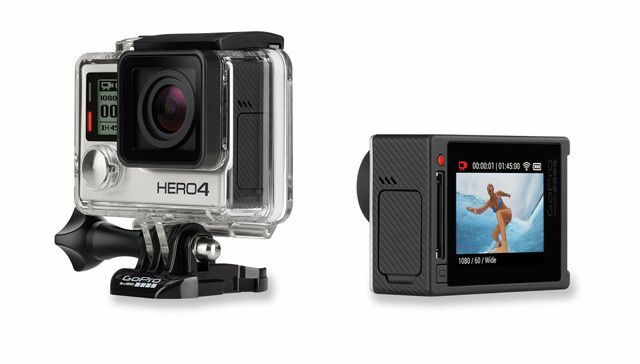 GoPro, Inc. and Vislink, a provider specializing in the collection, management and delivery of high quality video and associated data, today announced a partnership to enable GoPro HERO4 cameras with a professional grade, live, HD wireless broadcast solution. The two companies have been working together on a transmitter that is small enough to be worn or mounted in unique areas to provide all new perspectives for people watching their favorite live sports and events. The solution will be showcased during popular live events this winter, including Winter X Games 2015 Aspen, select AMA Monster Energy Supercross events and other live sporting events. “GoPro has changed the way people see the world, creating an immersive viewing experience. Now with unique GoPro perspectives available to broadcasters, watching live events is like being part of the action instead of watching it from the stands. Our partnership with Vislink brings a new level of excitement to live broadcast and we can’t wait to see what players, broadcasters and fans do with this new innovative solution,” said GoPro President Tony Bates.